As My Secret Hotel heads into the final arc of its run, the narrative convergence is bringing more and more flaws to the forefront. I’m not talking about the dragging on of the love triangle whereby Sang Hyo doesn’t even look anywhere close to giving Hae Young a second chance and is firmly on team Sung Gyum at this time. A convincing love triangle is never a problem in and of itself, but the key word is convincing. The love triangles that piss me off such as in Marry Him If You Dare is wholly because one leg is basically a gimpy wanker of an alternative. Here I can argue both men are on equally footing to win Sang Hyo’s heart, and both have flaws and strengths aplenty to be viable competition. If Hae Young has the advantage it’s on his history with Sang Hyo and the fact that she clearly still has feelings for him. If Sung Gyum has an advantage is his lack of baggage with Sang Hyo and her mental determination to move on to him and not dilly dally with Hae Young. 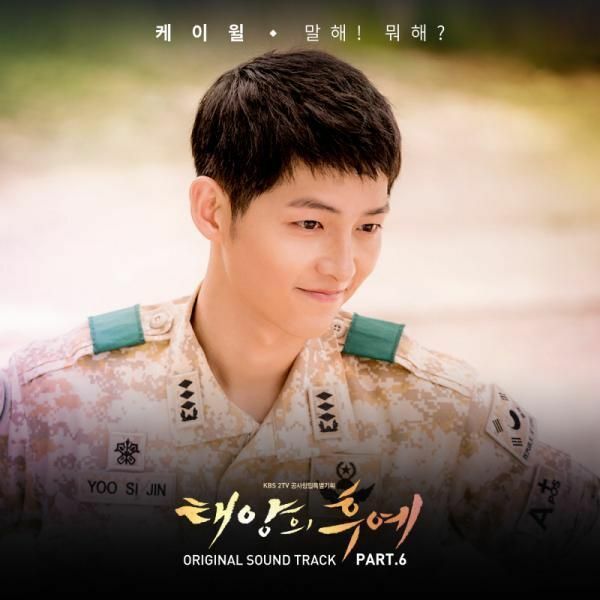 Sung Gyum responds to Hae Young’s singing performance declaration for Sang Hyo by standing up and singing his own off-key but sincere love song to Sang Hyo. She gets teary eyed listening to him knowing that he has a fear of public singing. The crowd claps after Sung Gyum’s performance while Hae Young sadly stares from the corner seeing that Sang Hyo only has eyes for Sung Gyum. Hae Young’s coworkers all feel bad for him as does Soo Ah. Eun Joo tells Hae Young that they’ve lost before she leaves dejected. 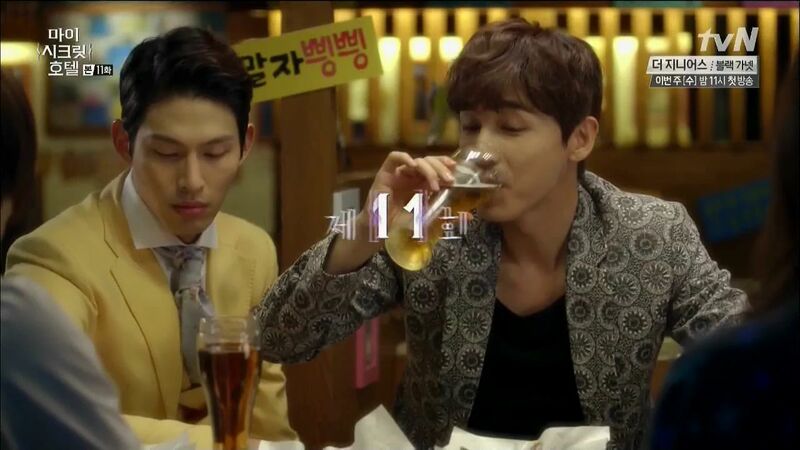 Hae Young goes to eat and drink his sorrows away with his coworkers and wonders why everyone looks so down. This one duel doesn’t determine win or lose yet so why does everyone seem like it’s over for him? His coworkers compliment him on his singing and dancing prowess on stage but Hae Young listens to the half-hearted comfort by admitting that he lost today. Hae Young downs his beer and gets up to leave only to have Shi Chan offer to hang out with Hae Young all night since he’s so down. Hae Young pushes Shi Chan off and tells him to find another guy to spend time with if he likes guys. The rest of the coworkers all stare in shock as Hae Young leaves. Hae Young finally gives in and takes out his frustration on a display outside the restaurant. Sung Gyum walks Sang Hyo home and she teases him for being so shy and awkward now. Sung Gyum pouts that he’s embarrassed but Sang Hyo compliments him on doing a great job. Sung Gyum lights up until Sang Hyo teases that it’s not about musical ability but about feeling. Sung Gyun admits he was really worried back there that Sang Hyo would be taken from him. He asks if Sang Hyo won’t waver again and she nods back her assurance. Sang Hyo walks into her apartment and finds the two identical bouquets on her table still. She takes one and throws it in the trash declaring that it’s totally over and for Hae Young not to intrude into her life again. As she walks away she suddenly realizes that she doesn’t know which bouquet was brought by which guy. She compares the two before throwing the one she thinks Hae Young brought into the trash. Hae Young is moping at home wondering why he feels like he just got tossed in the trash. He wonders if Sung Gyum is a horse? If so then Hae Young is a zebra, LOL. Hae Young then hears the doorbell ringing and the scene changes to Sang Hyo opening her door for Sung Gyum who asks to come in to talk. She offers to make Sung Gyum coffee but he pulls her to sit down next to him before asking if he can spend the night there? He doesn’t want to go home like this and asks to spend time with her. Sang Hyo stares back and Sung Gyum apologizes while getting up to leave. Sang Hyo stops him and agrees to let him stay because she’s not going to waver again from now on. The scene turns all seductive as Sung Gyum takes Sang Hyo’s hair clip off as her hair tumbles down her back. He strokes her cheeks before his hands reach down to unbutton her top. 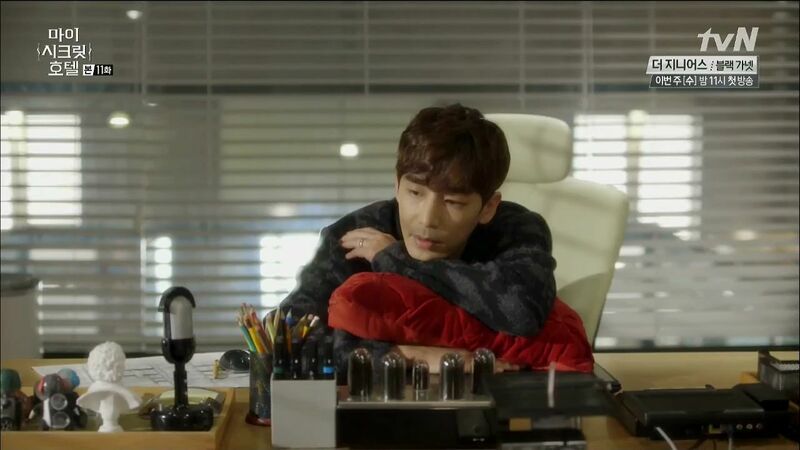 The scene freezes as Hae Young yells at himself to stop fantasizing about what is going on at Sang Hyo’s place right now. He tries to act nonchalant but finally can’t take it anymore and calls Sang Hyo. When she answers he immediately yells at why she took so long to answer? Sang Hyo explains she was showering and wasn’t expecting him to call. Hae Young wants to know why she showered before asking who she is with right now? Hae Young doesn’t wait for her to answer and launches into a diatribe about how Sang Hyo is being hoodwinked by Sung Gyum. Men know other men and the most dangerous are those who act kind while singing love songs. One look and it’s clear Sung Gyum is a total player! Sang Hyo points out Hae Young starting the singing earlier tonight first. Hae Young stops being difficult and asks Sang Hyo for a favor. She is not to give her full heart to that man until she knows him as well as she knows Hae Young. Sang Hyo doesn’t have time to banter with him tonight and ends the call leaving Hae Young frustrated yet again. Hae Young launches into his second fantasy where Sung Gyum returns to Sang Hyo’s apartment and demands to spend the night because she allowed Hae Young to spend the night already. He takes Sang Hyo’s silence as a refusal but she instead takes Sung Gyum by the necktie and leads him into the bedroom to make it fair. Hae Young moans that he shouldn’t have gloated to Sung Gyum that he spent the night in Sang Hyo’s apartment already. Hae Young’s fantasy continues as Sang Hyo sits down on her bed with Sung Gyum and starts to lean in for a kiss. Hae Young interrupts and tries to laugh off his fantasy as impossible since Sang Hyo is very pure and innocent. But his fantasy continues with Sang Hyo declaring that she’s really very passionate. Sung Gyum nervously tells her that he’s anticipating it so Sang Hyo pushes Sung Gyum down on the bed before crawling seductively over him. Hae Young tries calling Sang Hyo again but she’s turned off her phone leaving him stewing in his frustrated nightmare fantasies. Sang Hyo has put the Sung Gyum bouquet in a vase while kicking the Hae Young bouquet in the trash. But then one flower falls in the vase bouquet while a dejected Hae Young’s head falls forward as he sighs that it really is so hard to forget and move on. Sung Gyum stands in the hotel starting out the window. His assistant Simon hands Sung Gyum a package that was delivered for him. He opens the box to find the heart shaped rock with a note asking if this was what he has been looking for? Sung Gyum takes out the rock with a smile. The hotel employees are gossiping about Sung Gyum’s romantic singing the night before for Sang Hyo. When she arrives for work, they confirmed from her directly that she’s dating Sung Gyum. Gossip turns to Eun Joo getting dumped and Eun Joo gets more frustrated upon hearing others gossiping about her romantic woes. 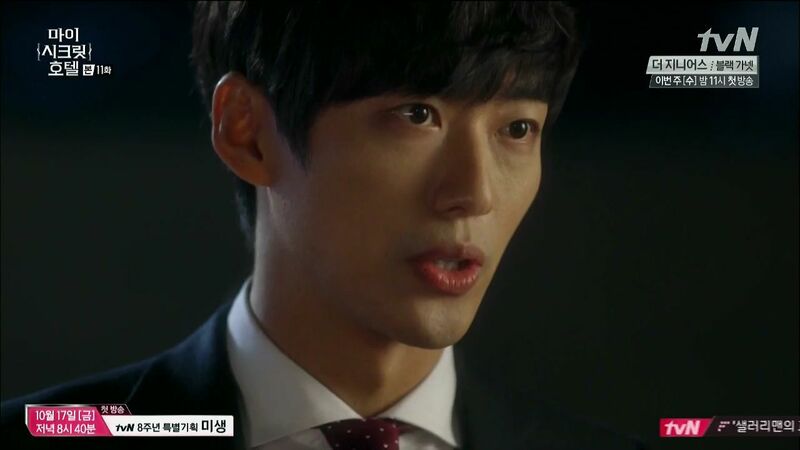 The Vice GM wanders by and is his usual sleazy self, offering to comfort the heartbroken Eun Joo. She awesomely deflects his grabby hands before threatening to give him a knee to the nuts if he doesn’t stop. GM Lee lectures Sang Hyo on the rumor that she’s dating Sung Gyum now. He calls her irresponsible for going through with the wedding and now dating Sung Gyum. Sang Hyo doesn’t think she’s doing anything wrong since she did the wedding for show and didn’t intend for it to be real. GM Lee orders her to end things with Sung Gyum because it’s not going to work out. 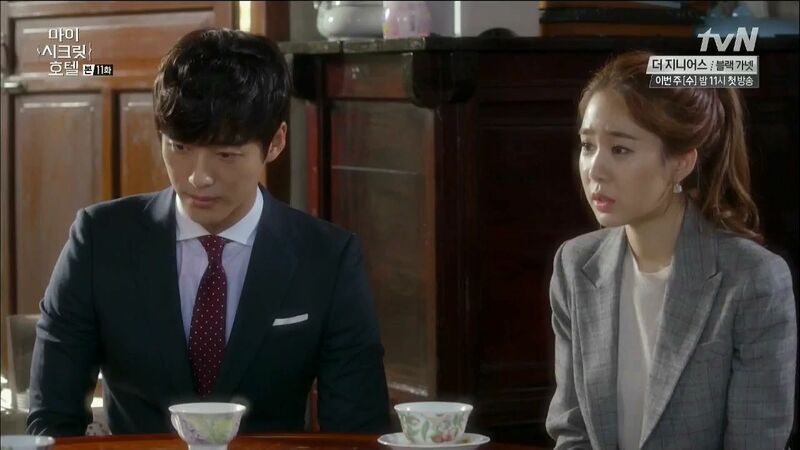 Sang Hyo is confused as she leaves GM Lee’s office and happens to run into Sung Gyum who pulls her aside to talk. Sung Gyum asks if anything is bothering her and she admits that GM Lee is like a dad to her and she hopes Sung Gyum’s relationship with GM Lee can improve so she’s not caught in the middle. She believes both men care about what is best for the hotel. Sung Gyum cuts her off and explains that much as he would like to do as she suggests, it’s beyond his ability to get along with GM Lee. In fact, Sung Gyum hopes that Sang Hyo distances herself from GM Lee. The detectives continue their investigation and the latest news is that Manager Hwang must have something on GM Lee who had been wiring money to Manager Hwang up until he died. Young Mi’s death was likely due to her getting involved as well and trying to get a piece of the blackmail pie and crossing the wrong person. 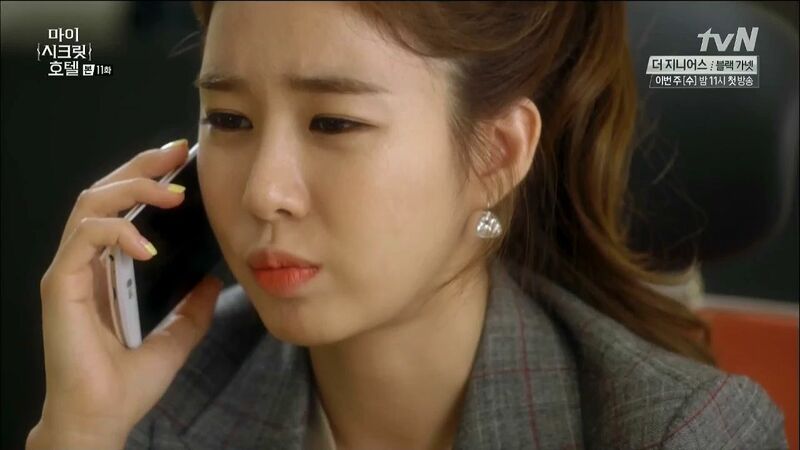 Sang Hyo mulls the conflicting requests made of her to distance herself from GM Lee or to breakup with Sung Gyum. She ignores the first call from Hae Young but when she sees another call coming in she answers. Hae Young’s voice announces that he’s “the higher pitched Lee Seon Kyun” which is a nod to how smexy Jin Yi Han’s voice is along with famed delicious-voiced Lee Seon Kyun. Sang Hyo turns into a fawning fangirl and asks to hear what Lee Seon Kyun has to say while he’s recording a radio show. Hae Young brings up a letter he received from a man who broke up with the woman he loved for a reason he couldn’t say but he wants to get her back. Sang Hyo asks if the woman has moved on and Hae Young takes a drink of water before answering that the woman is starting something now. 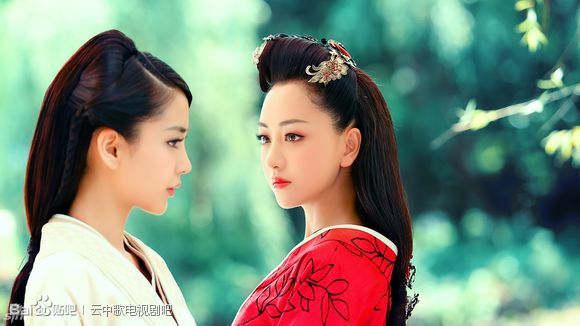 Sang Hyo declares that the man is self-absorbed and weak if he is coming to in the woman back now. That rubs Hae Young wrong and he breaks character to ask if Sang Hyo is really so high and mighty that she can break a man’s heart and move on to seduce another man so easily. As a woman she has no principles! Sang Hyo knows he’s Hae Young but Hae Young insists that he’s Lee Seon Kyun before moving to announce the next song which is go live your life well, you cruel bratty girl! He hangs up on Sang Hyo who screams into the phone determined to beat the immature Hae Young up for this. She grabs a cup on her desk and starts wailing on it which makes the guys in the event planning department worried that the ladies at this hotel seem to be so violent. Gyung Hee laughs and teases that once they know her better they’ll discover she’s the scariest lady at the hotel. Soo Ah visits Hae Young at his work finding him moping at the desk. He tries to shoo her away but she came worried that he’s suffering from the embarrassment of yesterday. Soo Ah encourages him not to be sad but keep trying to win back Sang Hyo unni. To help she’ll seduce Sung Gyum which will lead to that couple to break up and Hae Young to win back Sang Hyo. Hae Young asks if she’s really doing this for him and she insists it’s all for his sake. Simon delivers a package intended for Sung Gyum who wonders why the package doesn’t identify the sender? Detective Kim pays a visit to GM Lee to ask about why he regularly wired money to Manager Hwang and cuts to the chase to ask if he was being blackmailed? GM Lee smiles and explains Manager Hwang as a same town hoobae so it was normal for him to help the man out when he was in a bind. Detective Kim then asks if Young Mi came to GM Lee asking for his “help” as well. 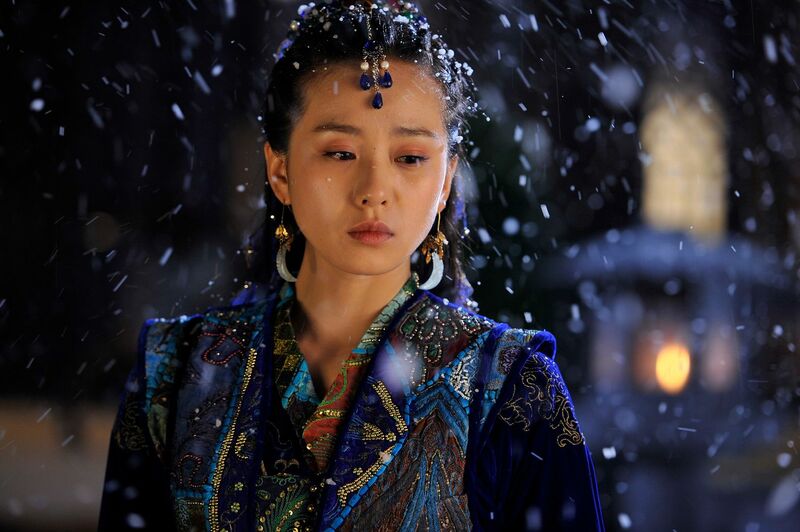 GM Lee flashes back to Young Mi sitting down with him directly blackmailing him for payment in exchange for the necklace. 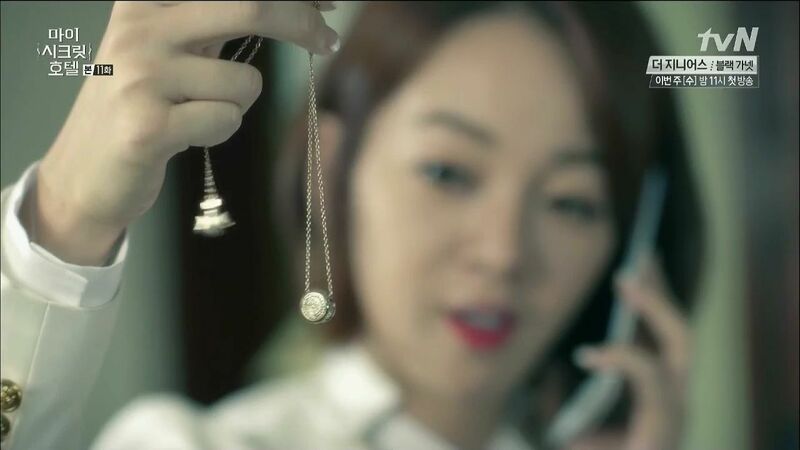 She warns that things will get dicey for him if the necklace falls into Jo Sung Gyum’s hands. GM Lee asks if Young Mi is threatening him now? Young Mi isn’t scared and asks if he’s planning to do to her what he did to Manager Hwang? She’s not scared because if she dies then she’ll send the necklace with a letter to Sung Gyum telling him everything. Young Mi suggests that GM Lee ought to have lived his life aboveboard if he doesn’t want this happening now. 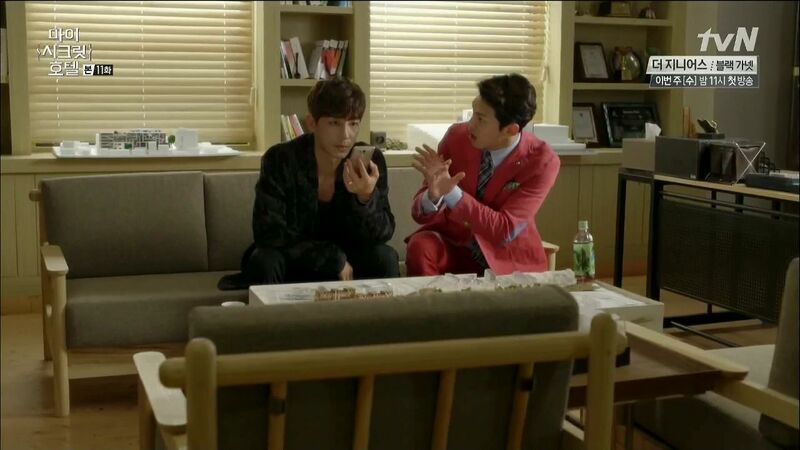 GM Lee tells Detective Kim that he knows nothing more about Young Mi. 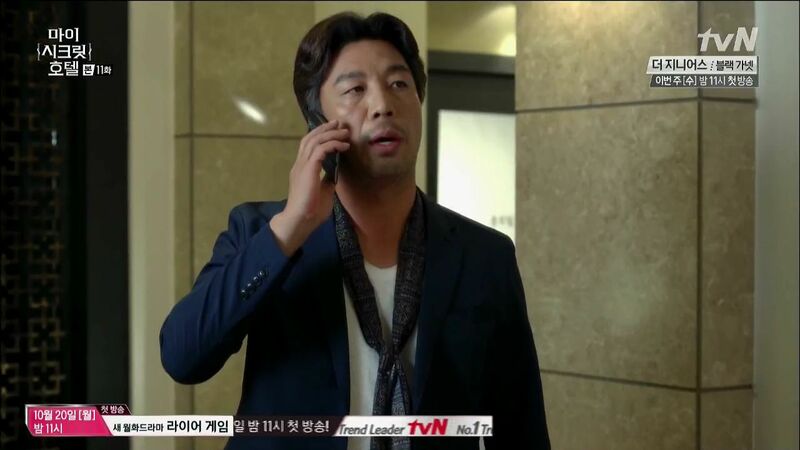 As Detective Kim leaves the meeting, his partner calls with Young Mi’s cell phone records and reveals that she called Jo Sung Gyum multiple times before she died. 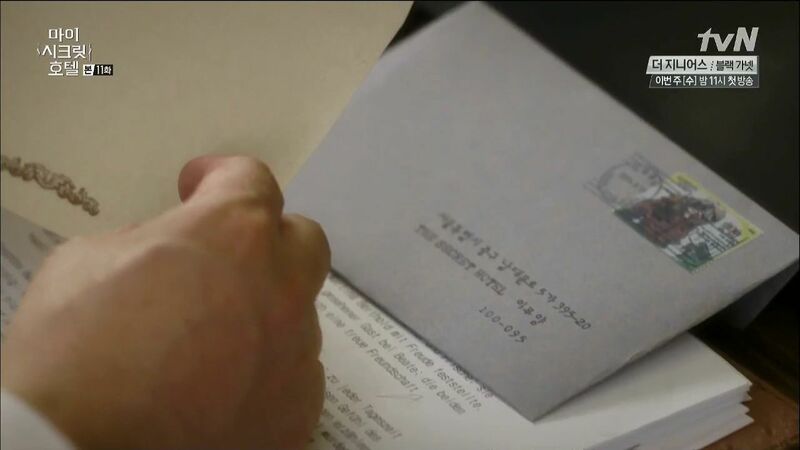 Sung Gyum opens the anonymous letter which is from Young Mi before she died writing “if it wasn’t you who killed me, then the murderer is GM Lee.” Sung Gyum tenses up after reading the letter and crumples it up. 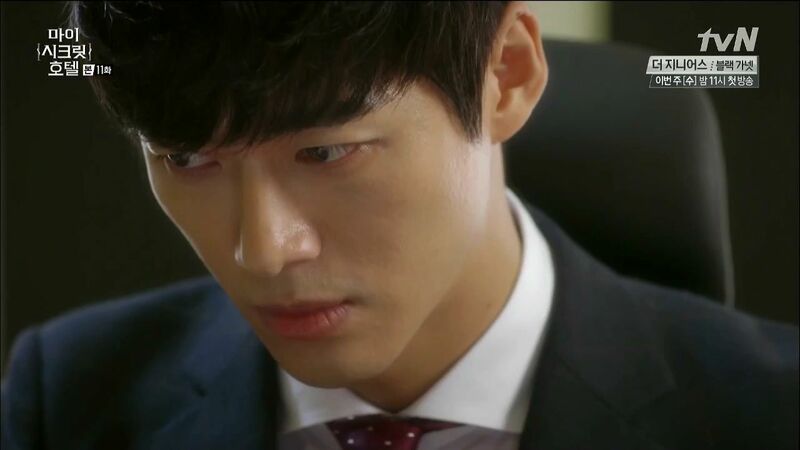 Simon offers to take care of it but Sung Gyum declines and intends to find it himself personally this time. Sung Gyum calls Sang Hyo and asks to tag along when she takes Young Mi’s belongings back to her family. Clueless Sang Hyo is happy that he wants to do this with her. Sang Hyo takes Young Mi’s things to head out while Gi Chul gets all excited hearing that Sang Hyo is going with Sung Gyum. He suggests Sung Gyum is planning some romantic time with her when they are alone. Eun Joo overhears this and sadly mopes off. She quickly hides behind a beam when she sees Sung Gyum walking towards her. She chides herself for hiding when there is no reason to avoid Sung Gyum. She’s about to dart back out when Detective Kim approaches Sung Gyum first to ask if he dated Young Mi in the past? Sung Gyum chuckles and explains he didn’t date her. Detective Kim asks why there were multiple calls with Young Mi before she died? Sung Gyum claims there are a lot of woes working at the hotel so he merely called to hear what she had to say and make sure she was doing fine. Detective Kim snarks that Sung Gyum is sure a considerate boss to check in on such a lowly employee. Sung Gyum breezily accepts the compliment as the reason why he’s so popular at the hotel. Eun Joo takes in what she just heard and wonders if Young Mi also like Sung Gyum? Sung Gyum puts Young Mi’s things into the trunk of the car and is about to flip through it when Sang Hyo walks up. They get into the car together and Sang Hyo remembers what Gi Chul said about Sung Gyum orchestrating this trip to spend time with her in close quarters. 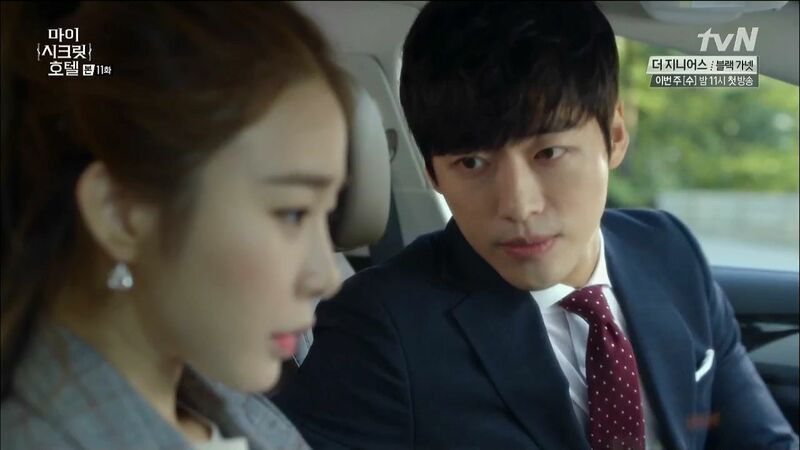 Sang Hyo is a but nervous when Sung Gyum leans over to help her with the seat belt which she mistakes for him making the move on her. Sang Hyo adorably admits she thought he was going to do something romantic with her so Sung Gyum steals a cheek kiss from her. Sang Hyo nervously starts reclining her seat which make Sung Gyum tease that she sure is bold to lay down in the car during the day. Jung Eun spots Sang Hyo and Sung Gyum driving off which makes her happy. She brings snacks to Hae Young’s workplace and tells his coworkers to enjoy the treats on her. Jung Eun marches up to Hae Young’s office and reveals she heard he failed again with Sang Hyo. Not to mention Jung Eun saw Sung Gyum and Sang Hyo driving off together. 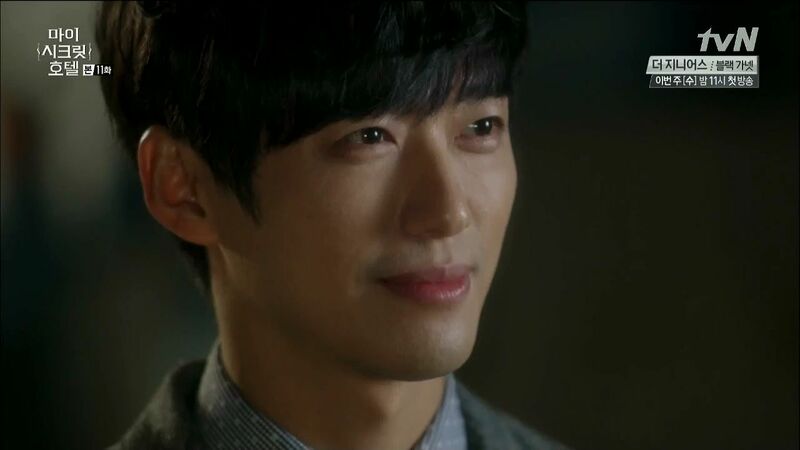 Jung Eun is happy because he broke up with Sang Hyo and isn’t going back to Soo Ah either. Pulling up to Young Mi’s parents house, Sung Gyum diverts Sang Hyo to go buy some fruit from the corner store so they don’t head inside empty-handed. Sang Hyo runs off before stopping whens she realizes she left her wallet back at the car. Sung Gyum is madly rifling through Young Mi’s things in the box in the trunk when Sang Hyo returns and catches him. Sung Gyum quickly makes the excuse that things fell out of the box during the drive over. Sang Hyo briefly pauses as she grabs her wallet from her purse. 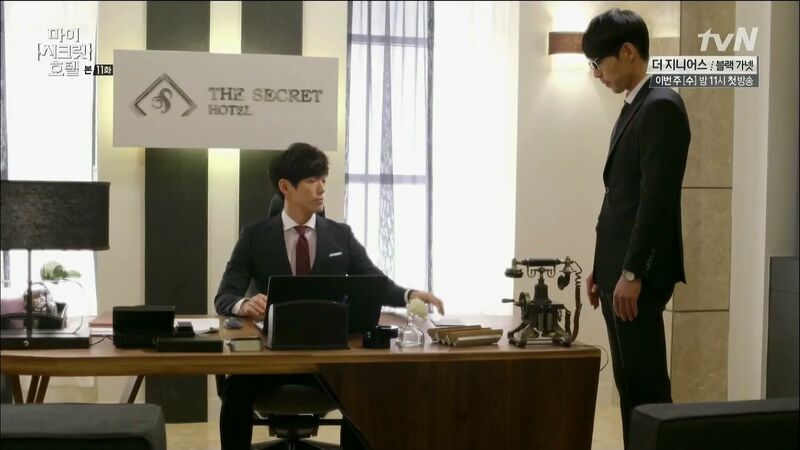 The Vice GM runs to tell Detective Kim his theory about who the murderer at the hotel is? He plays coy a few times before revealing that the murderer has to be Director Jo Sung Gyum! Young Mi’s mom tearfully thanks Sang Hyo and Sung Gyum for coming in person to return Young Mi’s things. She grabs Sung Gyum’s hand and begs him to find the killer. Sung Gyum awkwardly tries to pull his hand back before handing an envelope of money to Young Mi’s mom on behalf of the hotel. Young Mi’s mom offers them dinner but Sang Hyo doesn’t want to be a bother while Sung Gyum accepts. His excuse to Sang Hyo is that Young Mi’s mom is clearly lonely for company. After Sang Hyo heads to help Young Mi’s mom prepare dinner, Sung Gyum immediately gets up to scope out the residence. 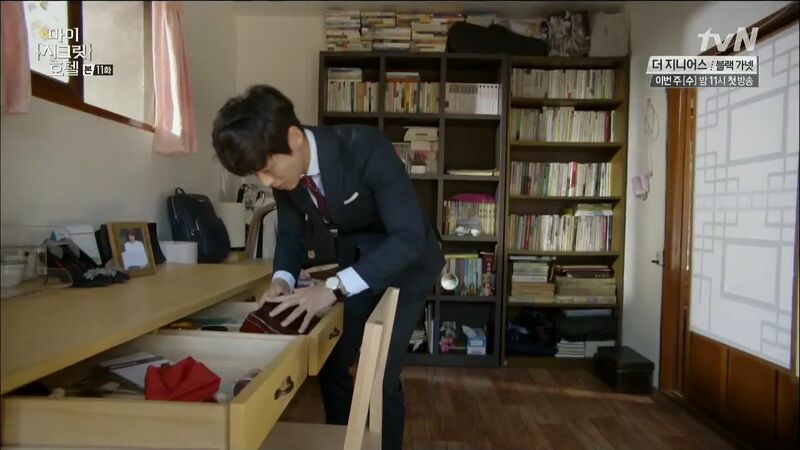 He finds Young Mi’s room and goes inside to open all her desk drawers while frantically searching for the necklace. Sang Hyo comes back with drinks and finds the living room empty. She finds Sung Gyum in Young Mi’s room looking for things and asks why he’s in Young Mi’s room? Sung Gyum explains that he remembered that he asked Young Mi to hold something for him. The detectives point out that Sung Gyum has an airtight alibi since he was on a business trip to the resort. The Vice GM is even more sure it’s Sung Gyum who is so smart he would have first set up an airtight alibi. While Sung Gyum was on the business trip, he ordered Simon to kill Young Mi. The Vice GM reveals he saw Simon near the hotel that day when Simon should have been on the business trip with Sung Gyum. He even thinks Simon totally looks like the killer. He reminds the detectives not to reveal he told them this and get him in trouble. Sang Hyo is awkwardly quiet on the drive home and Sung Gyum can sense it. He turns on the radio which blares a love song while over at Sang Hyo’s apartment Hae Young is sitting outside in his car looking up at her dark window and wondering why she’s not home this late. He remembers Sang Hyo being upset at the man who left for so long and still can’t let go now and wish the woman well. Hae Young calls himself pathetic for ending up in this state. Hae Young drives off just in time to see Sung Gyum pulling up to Sang Hyo’s place to drop her off. Sung Gyum awkwardly sends Sang Hyo in and admits he acted weird today. He asks for some time until he can reveal everything to her. Sang Hyo nods before walking inside. 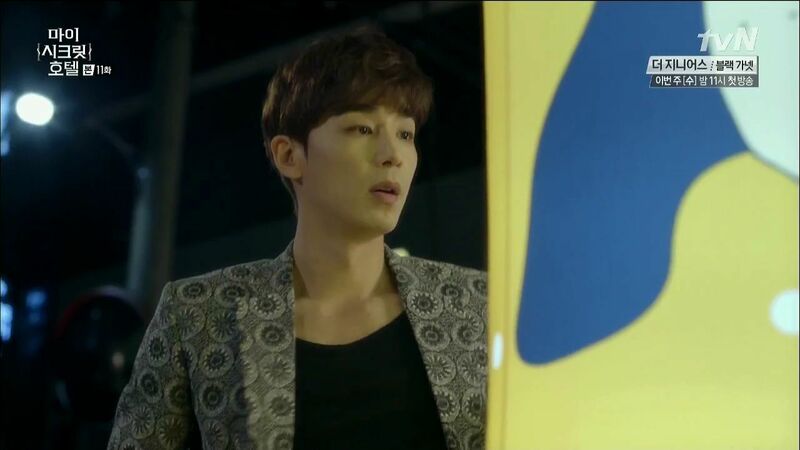 Hae Young stopped his car when he saw Sung Gyum dropping Sang Hyo off and waits there until he sees Sung Gyum leave. Hae Young is willing to have her call him pathetic and shameless, that’s easier to bear then feeling like he’s going to go crazy when he thinks about her with someone else. Sang Hyo plops down on her sofa and notices the one droopy flower and tells herself that Sung Gyum must have a valid reason for his behavior today. Hae Young lays on his sofa moping while remembering Sung Gyum serenading Sang Hyo at the restaurant. He sits up with a sigh and reaches out for more beer only to find all the cans empty. He suddenly hears Sang Hyo’s voice telling him to give up now. Now it’s time to let go because it ended for them 7 years ago. Hae Young points out they reunited now 7 years later. Sang Hyo doesn’t want to be hurt by him again and Hae Young assures her that he will never let her be hurt again. Sang Hyo can’t believe what he says so Hae Young pleads with her to trust that he will find a way for her to believe in him again. 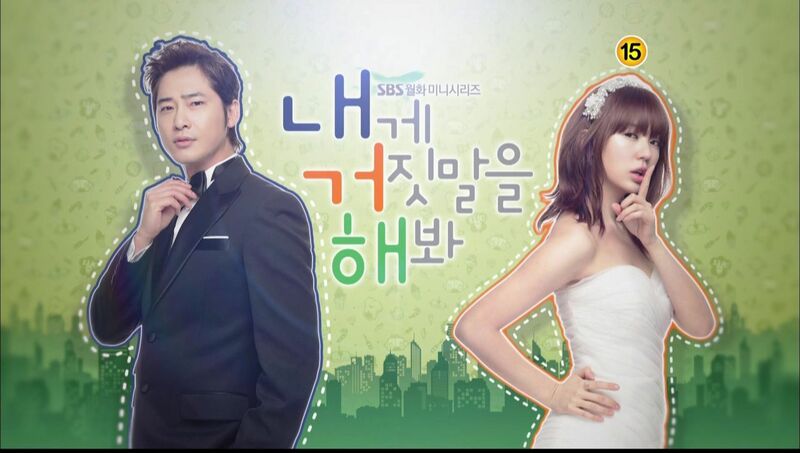 Sang Hyo wonders if they really can start over again? 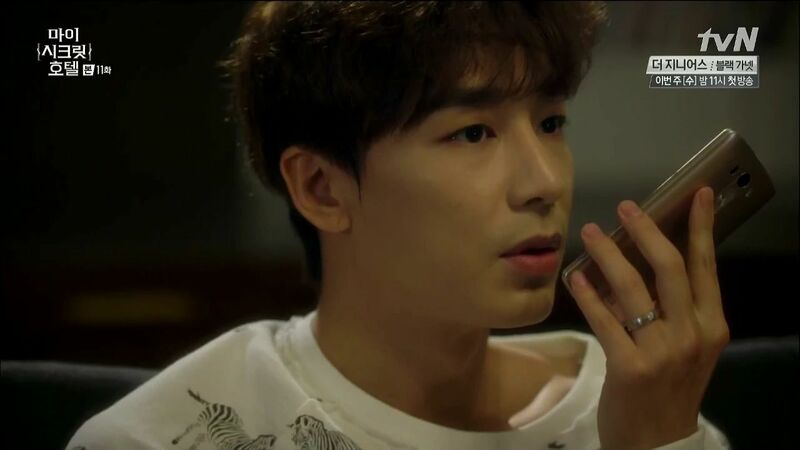 Hae Young wakes up the next morning when his phone rings with a call from his mom. He startled out of his sleepy state by whatever his mom says on the phone. Sang Hyo is surprised to see Hae Young pulling up outside her apartment. Hae Young begs her to come with him to his place right now because his parents are on their way. She declines because it has nothing to do with her. Hae Young begs for one week and after that his parents are headed back to the US. Sang Hyo still won’t help until Hae Young screams that his dad is dying and needs surgery. This is why he decided to marry Soo Ah because his dad refused surgery unless Hae Young got married. Sang Hyo stops and is conflicted until she finally agrees to give Hae Young one week, just one week. Hae Young’s face lights up and he runs towards Sang Hyo to hug her tightly in his arms. 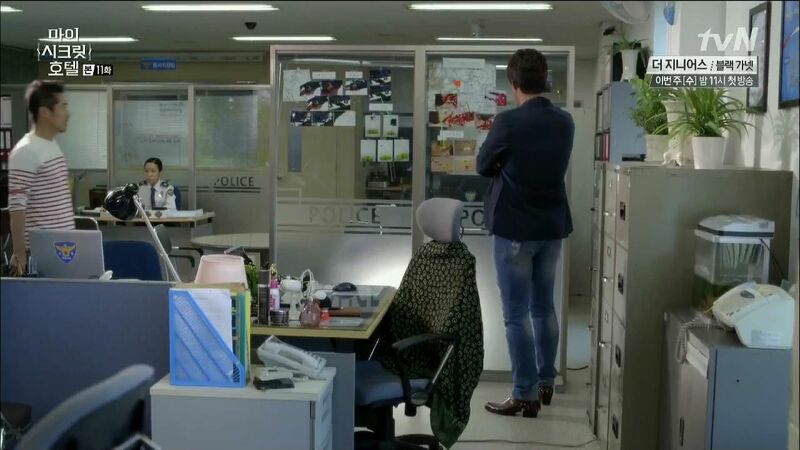 Episode 11’s flaws wasn’t on the incessant stirring of the love triangle pot, it was on this drama finally veering into disjointed territory with the abrupt toggling between romantic pining and a police procedural. MSH feels like two 8-episode length dramas of different subject matters combined together but in an intersecting manner so that one romantic scene is followed by one murder mystery reveal. I’m getting tired of that and even more tired on the narrative keeping the real culprit from the audience as well as from the characters. The only reason to do that is to string Sung Gyum along as the viable suspect for being the murderer, and all those intense shady stares from him sprinkled through this episode certainly lends credence to that suggestion. But it would feel so lame if Sang Hyo’s new romance got scuttled because her beau ended up being a serial killer, rather than her deciding that she really loved Hae Young and wanted to be with him again come hell or high water. I don’t want the OTP to result from a narrative game of eeny-meeny-miny-mo and the one Sang Hyo ends up with is the one who isn’t tagged out. I’m not gonna sugarcoat it, this episode was exhausting to watch even if I still like MSH very much. It doesn’t tank the drama or even get close to heading down that direction, but it needs energy and needs it fast. 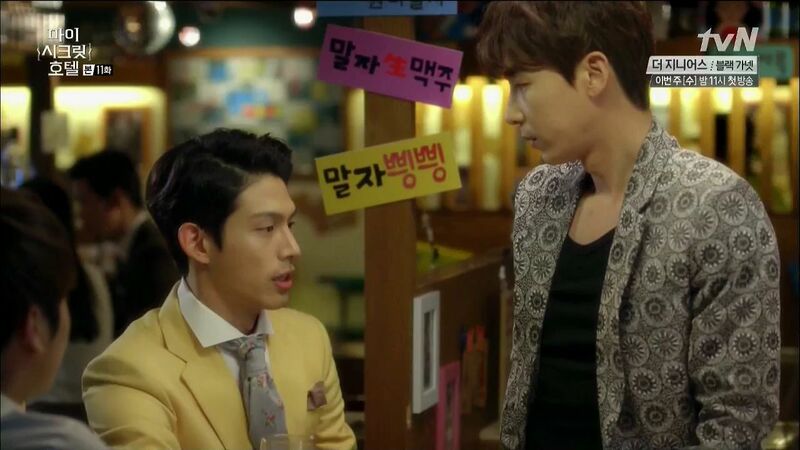 The whole story is bogged down by Hae Young’s pining and his inability to have a straight up candid conversation with Sang Hyo that isn’t sauced up with hijinks. Sure I like his singing for her, the drunken visits and late night calls, the Lee Seon Kyun impersonation, that stuff remains cute but at this stage his interactions with her need to move beyond that. Similarly Sang Hyo is losing that warm adorableness that made me love her so much, that along with her crack work skills which I haven’t seen any of in many episodes. I’m also sad the female character are all relegated to insignificant roles. Young Mi was a pretty ballsy blackmailer but she’s dead now, Eun Joo spends her time plotting for Sung Gyum but making no headway, Soo Ah seems to have bounced back from getting dumped by her boyfriend Ki Ho, Jung Eun remains exactly the same one-note pop up once an episode character, and Gyung Hee’s entire sickness arc seems to have been forgotten. The writing isn’t able to balance so much left to develop when it wastes time in this episode on 3! Hae Young fantasies about Sang Hyo and Sung Gyum getting it on. One would have been enough to convey the point, by the third fantasy I was ready to throw my pillow at the screen and yell for Hae Young to just go to sleep. I’m also weary of Sung Gyum going from loverboy to menacing at the blink of an eye, I didn’t appreciate the way he told Sang Hyo not to be close to GM Lee. Just because she’s dating you doesn’t give you the right to order her about especially without any explanation. If he thinks GM Lee is a killer then he should tell Sang Hyo, but the reason he probably can’t is because he’s the killer or he’s shady about other things. Either way he’s still shady and I’m done with him as a viable love interest for Sang Hyo after this. It’s time she wakes up that Hae Young’s mistakes are the type of things that can be changed, and she also contributed her fair share back then to the conflict. She can either toss her dice with the unknown Sung Gyum or really take a good look at the open like a book Hae Young for being someone with the courage to love her again. Episode 12 looks a lot better in giving the OTP quality time together and hopefully also drops a major spoiler on the murder suspect to end the no longer satisfying mystery. The drama is spinning in circles almost as if dragging things out to fill screen time. The moment Sang Hyo goes back to Hae Young the show is over, but it doesn’t have to be that way. They could work through their issues and get back together only to deal with the fallout from the murders together. I also thought someone else would end up dead and that might be a welcome thing at this point to kick it up a notch. Detective Kim’s investigations seem to move slow as molasses if you ask me and I don’t fault him, he’s basically there to dole out information at slow intervals hence he learns things bit by bit as well. We’ll know in a few episodes if all these arrows pointed at Sung Gyum is foreshadowing or a feint. Yes, yes, I too was so impatient with 3 Hae Young fantasies about Sung Gyum and Sang Hyo! It does feel like a `dragging of time’ episode. The murder investigation is just too slow moving. My biggest gripe was how utterly SPINELESS Hae Young is to capitulate to his father’s crude emnotional blackmail AGAIN, “marry or I’ll die”, which sounds like the same shtick he pulled 7 years ago. Not only does HY reveal himself to have all the backbone of an amoeba, he crassly pulls exactly the same stunt on SH – “My Dad might DIE if you don’r come with me RIGHT NOW!” Pun-leeze! HY as a fixated clown was one thing, but to now paint him as a gutless dishrag who stoops to such bullying himself? Very disappointing. I still love this show, but i was wary of all the Hae Young fantasies. It is like they are worried that we were so overwhelmed by the end of episode song by Sung Gyum, that they needed to remind viewers about how much he loves her and should be a viable option. And as much as I love watching Jin Yi Han on my screen (“guys who sing Kim Dong Ryul songs are players” HA), I already knew he was a viable choice for her. I want to know more about the other people in this plot. 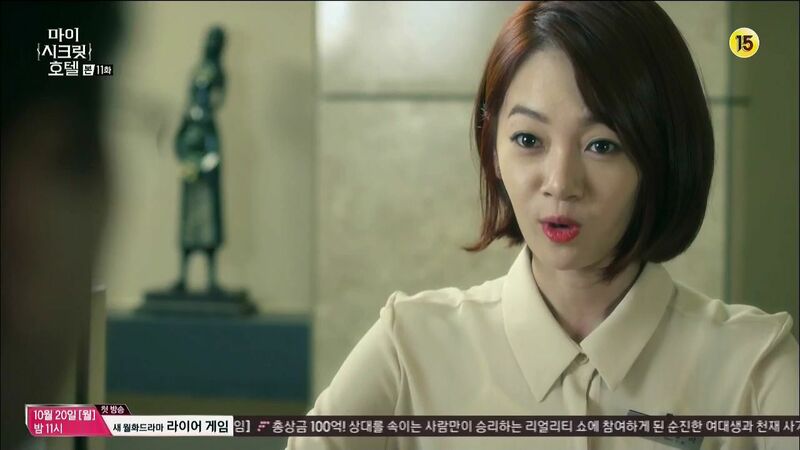 I really like Gyung Hee, for example, and want to know about her illness and her past with the security guy. Eun Joo is also a great character; I could so see her being part of the a scooby gang with Sang Hyo and Hae Young and Sung Gyum (reluctant bromance for the win) working together to find the killer. There is so much potential set up. Why give us what feels like filler before a sterotypical end? i’m curious.. is this the first time experience writing a drama for the New Writer? I AM CURIOUS ALSO ON THAT…! THIS DRAMA WITH ALL THE GREAT ACTORS AND ACTRESSES THE OUTCOME SHOULD’VE BEEN GREAT BUT MAN THIS NEW WRITER CAME ALONG AND MESSED UP WHAT THE FIRST WRITER PLANNED?! That last sentence of your second paragraph (enney meeney miney mo) summed it up for me regarding my feelings about both this show and “Discovery of Romance.” I’m in such a slump regarding KDrama now simply because of these two shows. True dat. I’ve been on soompi the last few mornings to read the live recaps and look at the clips, and have just sighed and said, “more of the same” – for BOTH shows. Really, I am tired of the angst and petulance. I want everyone to start growing up, STAT, and clear the air. I want the ladies to step back and re-assess, then move forward with the right guy. And I am afraid that both of these shows are going to take the usual kdrama, cop-out, the whole poisonous ‘first love trumps all’ trope. You know what? 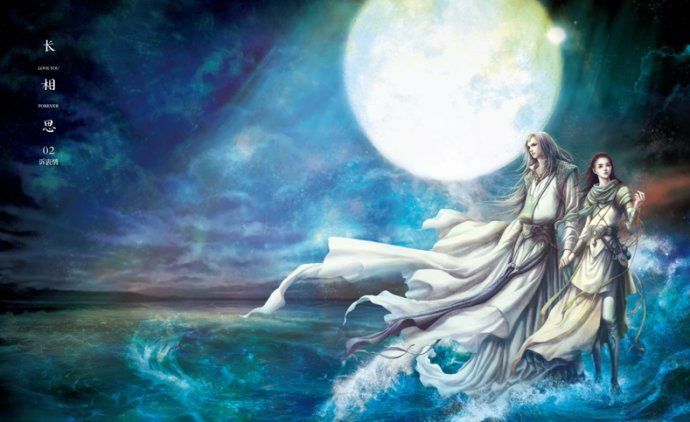 First love is almost always selfish, immature, and based on proximity rather than compatibility. Generally people grow up and find someone who suits them much better, someone with whom they can have a mature relationship with the entire possibilities for expressions of love. And they look back on their first loves and smile and are truly glad that they moved on. Why can’t we get a story where that happens? I still think Hae-Young is an immature clod who will make her life a misery. The only way I can see her back with him as a happy ending is if SG turns out to be the murderer. Because other than that, he is better for her in all respects. I FINISHED WATCHING EP 12 AND MAN I AM GETTING REALLY SICK AND TIRED/ UPSETTING/ AGGERIVATED OF THE DIRECTION THAT THE SCRIPT WRITER IS LEADING THIS STORY TO. IT’S A MESS, SERIOUS THE FIRST 4 EPS THAT WAS WRITTEN BY THE ORIGINATE WRITER WAS NOT COMPLICATED, EXCITING, HAS A BIT OF A TWIST BUT A GOOD ONE WHERE IT WAS PLEASANT AND FILLED WITH EXCITEMENT TILL THE NEXT EP, BUT EVER SINCE THE NEW WRITER STARTED AND MADE THE ADJUSTMENTS TO THE ORIGINAL SCRIPT (FROM WHAT I’VE RESEARCHED), IT WAS A BAD MOVE! TO BE HONEST THE ONLY REASON WHY I’M WATCHING THIS DRAMA DRAMA IS BECAUSE I REALLY WANTED TO SEE TO THE END, BUT AS OF TODAY I AM ON THE VERGE OF NOT WANTING TO CONTINUE WATCHING THIS DRAMA BECAUSE THE WRITER IS RIDICULOUSLY AND UNBELIEVABLY ANNOYING! I CAN UNDERSTAND WHY AND HOW SH HELD SUCH A GRUDGE AND OVERLY SENSITIVE WHEN IT COMES TO GY, ITS BECAUSE HE JUST STRAIGHT LEFT AND YEA I UNDERSTAND THAT HE DID LEAVE HIS ADDRESS AND AN AIRPLANE TICKET FOR HER BUT REALLY NOT EVEN A LETTER OF EXPLANATION AND STUPIDLY SHE WAITED FOR HIM TO COME BACK BECAUSE SHE TRUSTED IN HIM AND HIS WORDS THAT HE WOULD NEVER LEAVE HER SIDE. IN ONE OF THE EP WHERE SA ASKED HER WHY DID THEY BREAK UP AND TOLD SA WHAT HAPPENED AND HOW SHE HAD TO LIVE EVENTHOUGH EVERYDAY THAT PASSES BY FELT LIKE HELL AND AS IF SHE WAS ALREADY DEAD. ITS SO HARD TO WATCH THE WRITER TURNING SH INTO SOMEONE WHO’S UNSURE, WAIVERING (BUT GIVES MSJ MORE ATTENTION, AND JOKINGLY HURT GY WHENEVER POSSIBLE WITHOUT NOTICING IT, AND SHE CALLS HIM IMMATURE YET SHE HAS NOT REFLECT ON HERSELF AND HER ACTIONS). GY EVEN KNEEL TO HIS PARENTS AND EXPLAINED TO THEM THAT HE LOVES HER TO DEATH AND THAT SHE MEANS THE WORLD TO HIM, EVENTHOUGH IT WASN’T JUST HIS FAULT FOR THE BREAK UP BUT IT WAS WRONG AND HE’S TRYING HIS VERY BEST IN MAKING THINGS RIGHT THIS TIME AND WILL DO WHATEVER IT TAKE TO WIN HER BACK. BUT WHY THE HECK IS THE WRITER KEEP ON MAKING HIM LOOK AS IF HE DOESN’T DESERVES HER AT ALL AND NOT SHOWING SH OR REVEAL ALL THE GOOD THINGS HE HAS DONE FOR HER IN RECENT INTERACTIONS. I AM GOING CRAZY JUST WATCHING THIS EP BECAUSE I REALLY DONT KNOW IF THE WRITER EVEN KNOW WHERE THIS DRAMA IS GOING OR EVEN IN THE RIGHT MIND TO END THIS DRAMA WITH GOOD AND FULLFILLING ENDING??? Thanks for commenting and please continue to share your thoughts here but can I ask you to please turn off your caps lock function when you are posting comments. Writing in all caps is considered yelling on the internet, not to mention it’s visually difficult to read since our brains are wired for proper punctuation. Sorry about that, I had so much that i wanted to say and really didn’t pay attention to anything else except for what I was curious about and I wanted say about the 12 eps I’ve watched so far. As I typed up the comment, I didn’t pay any attention the font, the size of the font or noticing that my caps lock were on. I was focusing on one thing and one thing only and that is how to make what i wanted to say or be heard as short as possible and easy to understand. After I submitted my comment that was when my husband looked at me and asked why did I typed with all caps and that was at the same time that you’ve replied to my comment. I am sorry if I offended anyone because of it. If it’s any comfort, Chau Zabala, you’re by no means the only one who felt that way. If any episode DESERVED to be shouted at in allcaps, it was that atrociously awful Ep 12. I’m actually flabbergasted that any woman could write a male lead that way in this day and age, giving an enthusiastic vote of applause for behaviour that’s basically stalking bordering on kidnapping, and pass it off as romantic. I totally understand your pain and rage, and warned my wife to expect the worst when she watches that hideous mess. Thank you. I hope u this Monday hopefully a bit of everything will finally clear up. I am totally with you on this episode taking SG out of contention for me. As immature as her ex is, he isn’t furtive. Of course, being warned against someone is bound to make her suspicious. Even more unfairly so if the GM ends up being the killer. The impersonation of the voice had me lolling, but it was so obviously a time filler. and what is with the pillows and HY? Has he had them the whole time and I didn’t notice? Hopefully 12 will be better? Why Are You Watching Lie to Me?